Home » Everything » Recoverpoint 4.0 – Efficient, faster and … virtual! This results in a much more granular RPO than traditional asynchronous replication. Instead of choosing between a couple of snapshots spread hours apart, you can pinpoint the exact moment the data got corrupted and rollback to just prior of that disaster. Additionally it makes your synchronous replication more robust. This is because with synchronous replication your secondary copy is, by definition, always exactly the same as your primary copy. This is ideal in case of an environmental disaster (fire, power outage, etc) but your worst nightmare in case of a virus attack: your secondary copy will have the same garbage data as the primary copy. With RecoverPoint you locate at what time it all went wrong and roll back to a state just before. So how does RecoverPoint 4.0 add to this? First of all it’s faster: you can now replicate asynchronously at 400MB/s using distributed consistency groups – that’s a 60% increase over the older versions. You can also replicate more data: 2PB of data instead of the old 300TB per cluster. And since this data is probably spread across more LUNs: you can now protect 8192 LUNs per cluster instead of the old 2048 LUNs. Last year I was involved in designing a replication solution based on RecoverPoint. The customer had multiple European offices all running some business critical applications. This data needed to be replicated back to our DR site(s) to facilitate fast recovery of the applications in case of a disaster. When designing we quickly noticed that the RecoverPoint appliances at the DR site would be piling up: replication was point-to-point meaning we needed a dedicated RP cluster for each site-to-site connection. 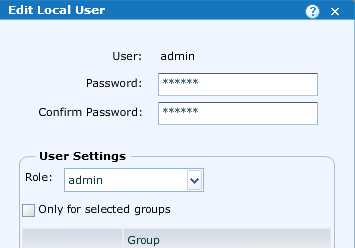 But no longer; RecoverPoint 4.0 adds multi-site support! I can hear you thinking: “Cool! Except I don’t need to replicate 2PB of data at 400MB/s and I’ve only got two small sites with one VNX each”. Do not despair: there’s a new feature for you as well. Starting with RecoverPoint 4.0 it is now possible to install a virtual appliance or vRPA for short. The vRPA will run on an ESXi server and connect via iSCSI to your VNX storage array. 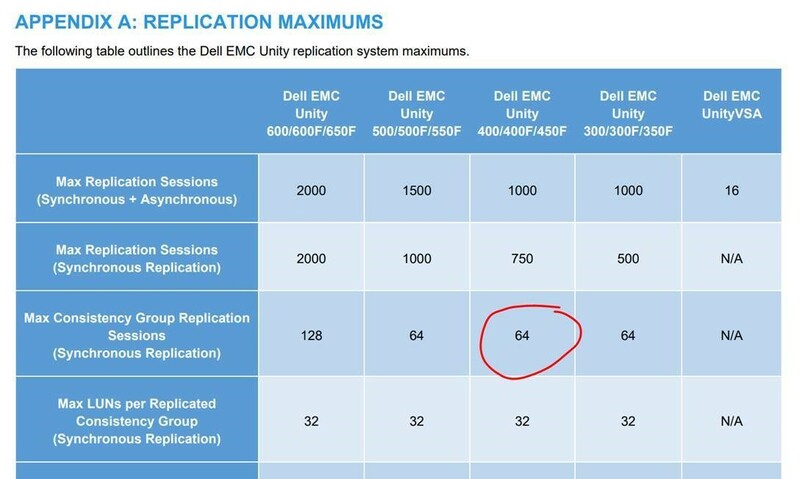 All things considered this should give you a 60% reducation in TCO compared to a traditional RecoverPoint/SE solution. Do make sure that you are using a vRPA on both sides of the replication though, since they do not mix with physical appliances. 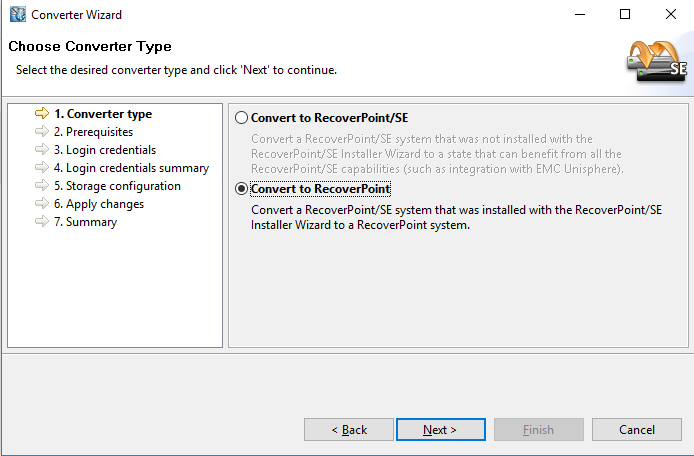 Last but definitely not least: if you’re using VMware Site Recovery Manager (SRM for short), RecoverPoint 4.0 integrates nicely with it and now offers you the granular recovery straight from the GUI. To learn more about the new features, you’ve got a couple of options. Tune into Brian Gallagher’s EMC World keynote on Monday May 6th at 2:00pm PDT. Read more at the official press release. Ask your questions at this Ask the Expert session. Or leave a comment! Next post EMC World – T minus 2 – Vegas baby!